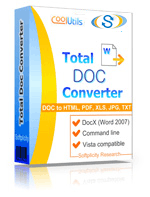 You are here: CoolUtils > Total Doc Converter > How to convert Word to RTF in batches? 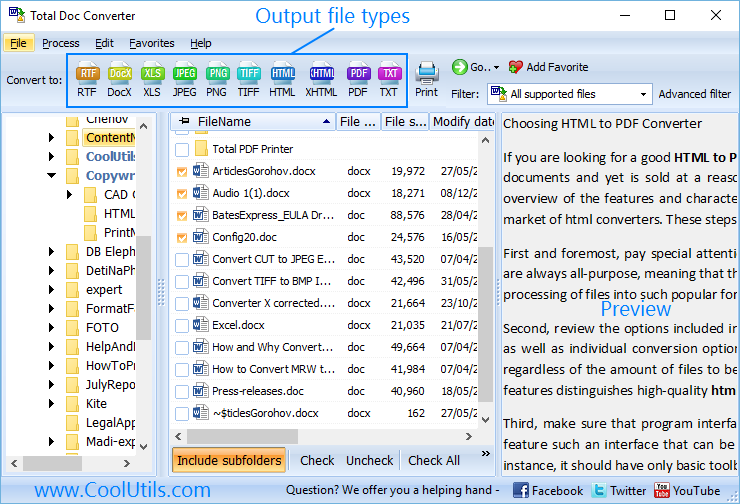 Word files are usually not exported to some alternative document editors without converting them to another format. In this case RTF is one of the most suitable solutions. 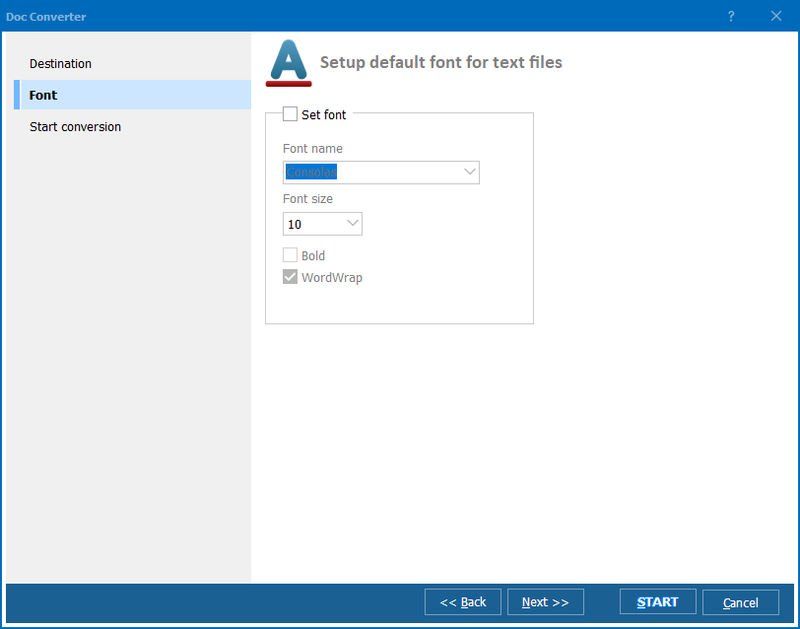 There are no problems for exporting one or a few files to RTF inside MS Word, using ‘Save as’ option. However, if there are many files, the process of their conversion may last too long. To avoid this, you should use Word RTF converter with a batch mode. 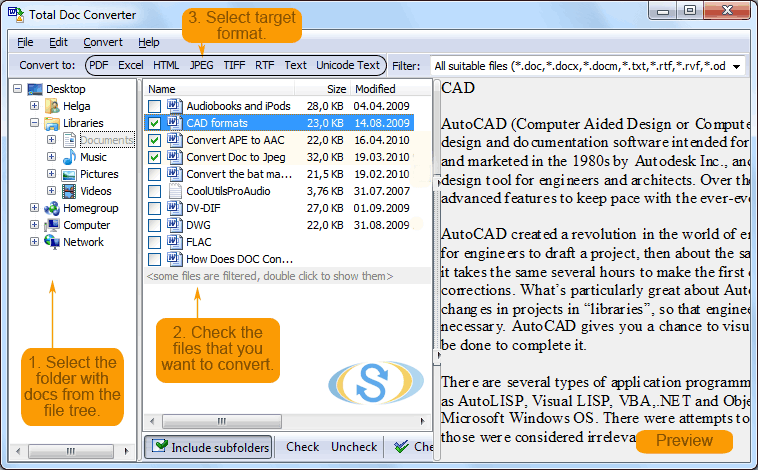 Just select all files for conversion and convert them in one go. Start conversion by clicking on ‘Start!’ button. 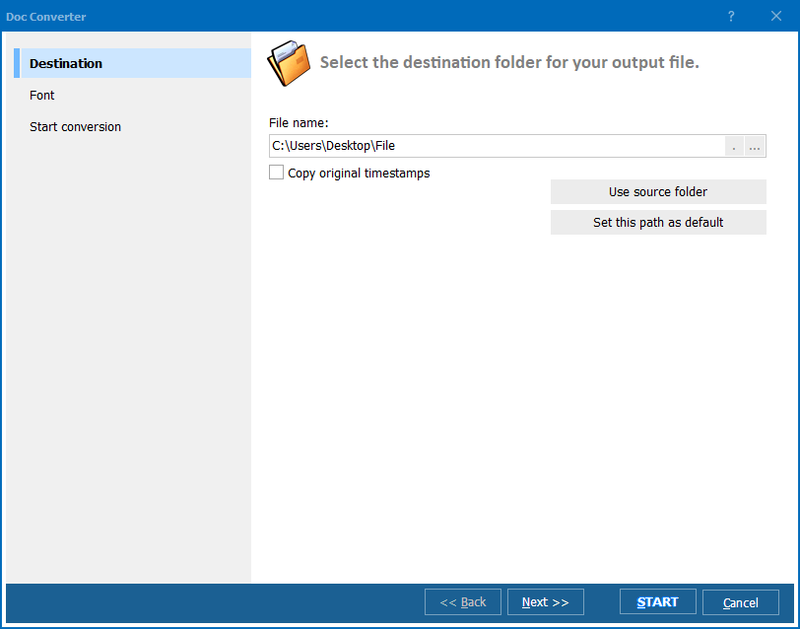 After these actions Word RTF converter will give you ready RTF copies of your Doc originals. If needed, you can delete the originals after conversion automatically, by checking this option in settings menu. The process of batch conversion is simple and doesn’t require special skills. You will manage with this task from the first attempt, as the converter will guide you through the whole process automatically.